A heavy company with King Tiger and Tiger I of a Panzer Division in readiness under air cover. 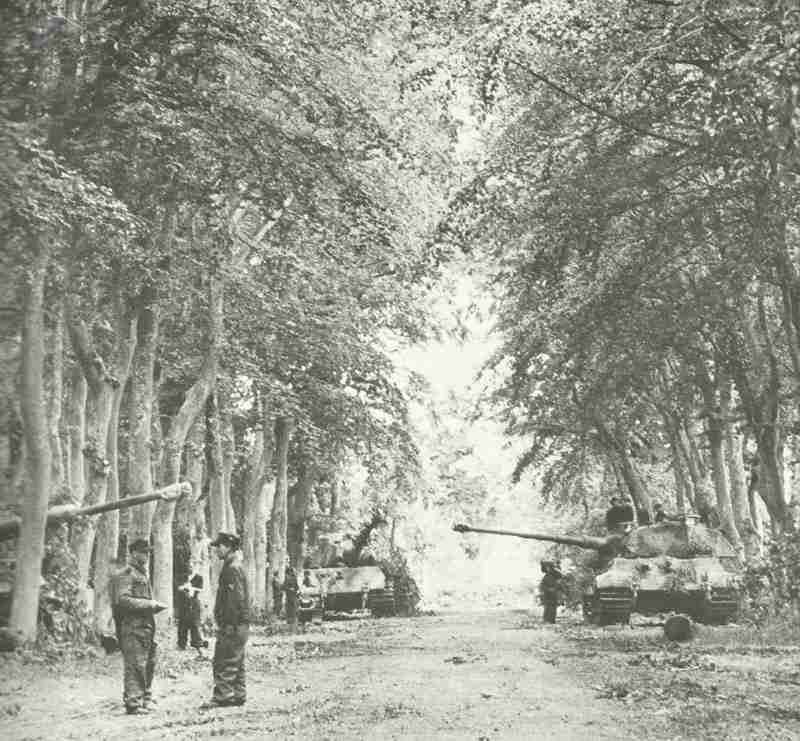 German Panzers counter-attack US forces in Mortain-Vire sector (begins night August 6- 7). B-24 Liberators bomb Davao (Philippines).